In this speech-in his references to Jewish history-Mahmoud Abbas proves that he is an unrepentant anti-Semitic Holocaust denier, as he has been since his youth. He doesn’t belong to the Palestinian people but to the Zionists who installed him. Full text. A member of our team accidentally removed something you posted on Facebook. This was a mistake, and we sincerely apologize for this error. We've since restored the content, and you should now be able to see it. My weekly article in Al-Akhbar: "Should we care for the symptoms of maladies among Western democracies"? My article for constortiumnews.com: "The (Unrecognized) US contribution to the Bloodshed in Syria". This mansion in Hayy Talbiyyah in Jerusalem was stolen by Zionist gangs in 1948 from its owner Hanna Bisharat (he was the uncle of the mother of a very dear friend). It was donated this year by the occupation state to the Guatemalan embassy to establish its embassy there. 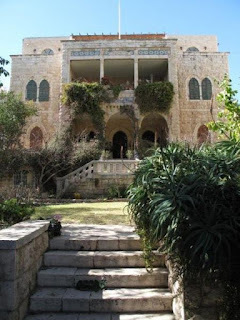 The house was constructed in 1926 and was stolen by Zionist terrorist gangs on April 15th, 1948. Golda Meir lived in it. Something is going on. I have been receiving from Google messages that I have violated their rules here on my blog. And today I received this warning from Facebook that I used "abusive material" in a post. I looked below and found a post about the assassination of a Palestinian academic in Malaysia and a reference to the Mossad. Basically, I hurt the feelings of the Mossad in the post. It is clear that the political sphere of expression for Arabs on social media is increasingly controlled and limited by the Israeli government. 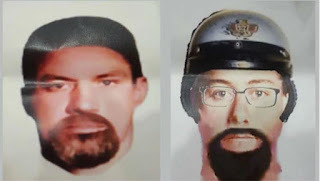 These are the pictures of the dumb Mossad terrorists who killed a Palestinian academic in Malaysia. (Notice that images of dumb Mossad agents now are circulated minutes after their crimes). (Circulate widely). Fadi Al-Batsh was a Palestinian professor of electrical engineering in Malaysia. He was gunned down this week by Israeli terrorists. 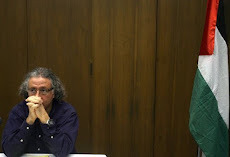 How big a story it would have been if an Israeli professor was gunned down by Palestinians? 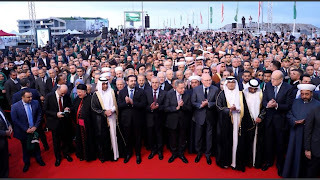 I notice that Western media are so desperate to locate "leftists" in the ranks of the Syrian "revolution" that they basically label self-described Syrian liberals--who bash leftists in the Saudi press--as "leftists" and "communists" and "socialists". Kid you not. His son told me his story. Asad Owais died last Friday. He fought with Quwwat Al-Ansar in Amman back in Black September and was arrested and savagely tortured by the Jordanian regime henchmen. He later moved to the West where he lived. This picture was a fulfillment of a dream: it was in Cuba which he always wanted to visit. It was indeed a tripartite attack on Syria. Yet, supporters of Gulf regimes in the Arabic press portrayed the description of tripartite as if it was a comparison between Nasser and Bashshar (when no such comparison was made or intended). It was a label to an attack by 3 Western powers. Ironically, those same people who protested the analogy are the paid propagandists against Nasser in the Gulf media. There is a level of zeal in defending the princes and kings in Arab media the likes of which I have not seen before. Because for the first time there is no rival press (unless you include the small leftist Al-Akhbar newspaper in Beirut) given the death of Libyan and Iraqi funded press in the region. OK. Syrian regime admitted that there was a false alarm in their missile defense systems. But what do we do with their claims of shooting down missiles that didnot exist? A former correspondent for the New York Times provides targets for Western military to bomb in Syria: can you imagine a Western writer presenting a list of Israeli targets for the West to bomb in the wake of Israeli massacres? “command and control, delivery mechanisms including aircraft and bases, storage, research, and the like. “ This is in a magazine edited by a "former" Israeli occupation soldier and funded by a billionaire. IT was quite striking how much the Saudi King played up Palestine as an issue today in the Arab summit. There must be a realization among the Saudi ruling circle that Muhammad bin Salman went too far in his English statements during his tour in the US. But this is indicative of the salience of the subject in Saudi and Arab public opinion in general--Zionist wishful thinking notwithstanding. You have to realize: that Gulf regime media have really been playing down Palestine (Aljazeera to a lesser extent) but the role of satellite TV channels, including Aljazeera and Al-Arabiyya, have substantially declined. 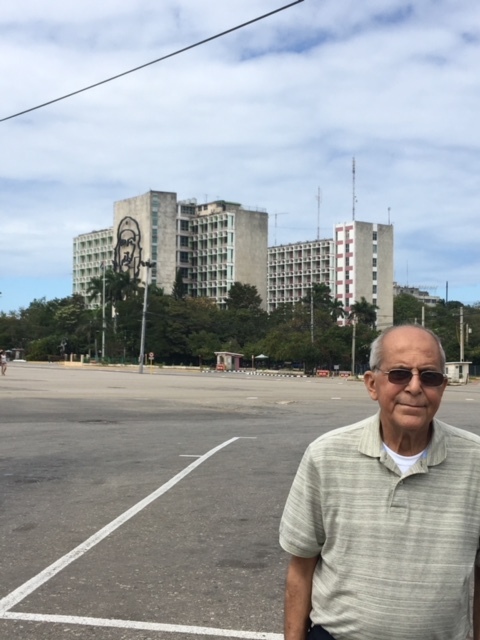 The people are now relying more on social media but social media are under strict constraints but people find ways to express themselves with indirect references. But Gaza protests have been really big in Arab social media, unlike say Saudi regime media which wanted to ignore it. Ben Hubbard of the New York Times finds image of missiles falling on Syria to be "cool"
Western correspondents find scenes of Western bombing of Arab capitals to be cool. What kind of people are they really? Would he dare call the image of a missile falling on Tel Aviv to be cool? If he said a picture of missies on Tel Aviv is "cool" he would have been fired on the spot. No doubt about that. "Bravo to @HassanAmmar5, the @AP photographer who took the coolest photo from Damascus this morning." I came to the US in 1983, since my arrival the US has directly bombed Beirut, Damascus, Baghdad, Libya, Mogadishu, Sudan, Afghanistan and Yemen--among other countries it bombed around the world (including downing a civilian Iranian plane). That is why they hate you. 1) here is the New York Times' own evidence: "“a New York Times review of more than 20 videos of its aftermath”." 2) "“International investigators have yet to visit the site to determine whether chemicals were used”." 3) "“British Cabinet had “agreed that...and it is highly likely that the regime is responsible for Saturday’s attack,” Downing Street said in a statement.”"
4) "“The Trump administration has not yet confirmed the use of chemical weapons by the Syrian regime.”"
5) "“[Mattis] also underscored the importance of a preponderance of evidence linking Mr. Assad to Saturday’s suspected chemical weapons attack.”"
Arab journalists who work for Western or Gulf regime media are salivating at the prospect of another US war. Zuckerberg falsely claimed today that Facebook bans all calls for violence. He meant to add: excluding calls for Western and Israeli wars. American conservatives and liberals are converging on a foreign policy agenda hatched by the GCC- AIPAC alliance in DC-and all in the name of freedom and humanitarianism. All-I mean all-advocates of US intervention are also supporters of various dictatorships and foreign occupation around the world, especially in the Middle East. Some opponents-but certainly NOT all-of US intervention also support the Syrian dictatorship. Let us not confuse. The irony of all this, if you carefully read US newspapers, is that US military calculations aim at punishing the Syrian regime (and whoever else among the innocent who get killed) while strictly preserving the Syrian regime and preventing its collapse. Opponents haven’t noticed. I don’t trust US government intentions, or Russian government intentions for that matter, even if they throw flowers on a country. 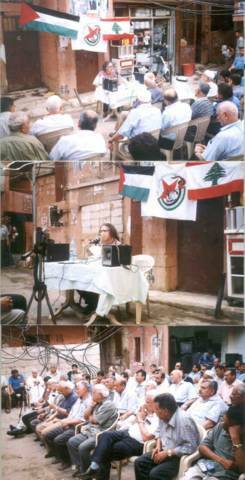 When th dust settles in Syria, we will know much more about the Syrian Observatory and its role in the conflict and the agendas it served. Notice that not one Western or Arab media source treats its reports with any skepticism at all, which makes it all the more fishy. How war propaganda begins. What is wrong with this poll? 1)it makes it an established fact that chemical weapons were used and that the user is certainly known beyond the shadow of a doubt. 2)it makes it sound like US bombs and rockets only fall on a “regime“.See footage of Raqqa" (Spectator Index had a poll saying: "Do you support military action against the Assad regime over the use of chemical weapons?" The same media and personalities who assured us back in 2003 that Saddam possessed MWDs are assuring us now that Syrian regime has just used chemical weapons in Syria. If true, show the world the evidence--and please don't insult our intelligence by citing "US intelligence". Yet again, the Israeli lobby and the GCC's lobbying shops in DC are agitation for another war in the Middle East. This is not to absolve the administration of responsibility of course but is to indicate the source of loud noises of propaganda. Those of use who are opposed to Western military intervention and war in the Middle East are not less opposed to the use of chemical weapons--whether by Syrian regime or by rebels. But the tendency to link skepticism with support for Syrian regime is like Zionist tactics. 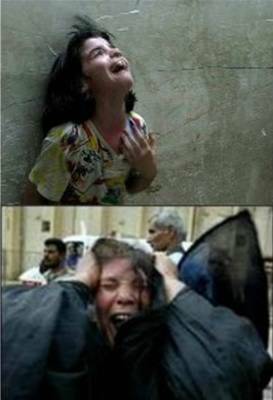 Syrian regime and the rebels are capable of a variety of war crimes. That has been established in the course of the Syrian war. But to accept at face value claims by Western governments and their subservient media, or by media shops set up by Gulf regimes, is lend a hand to war. To insist on clear and incontrovertible evidence of use of chemical weapons in Syria and identity of the user is not to absolve the Syrian regime or rebels of crimes. But it is to question the veracity of West governments and media with long track record of lying and fabrications. 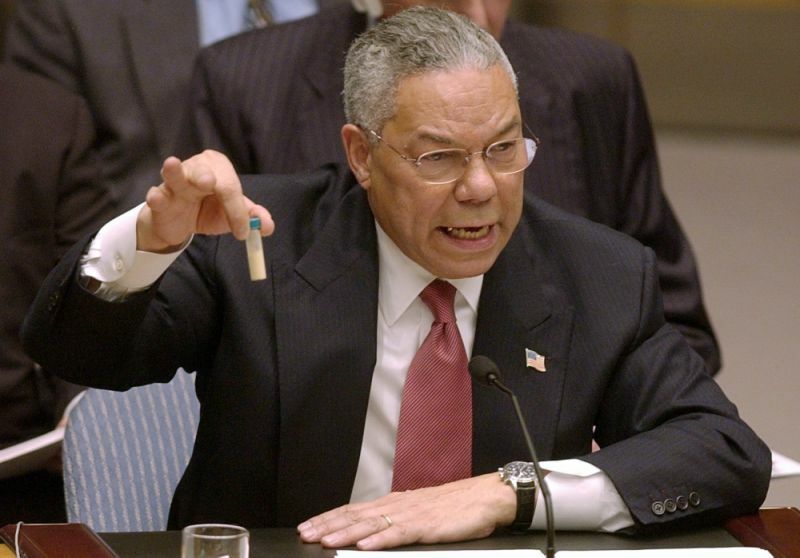 If you said in 2003, I oppose war on Iraq but I accept Western "evidence" of Iraqi WMDs, you wittingly or unwittingly participated in the campaign for war back then. Same analogy applies now. There is a new tactic to intimidate and kill dissent in preparation for this war:by insisting that you are a supporter of the Asad regime if you reject whatever evidence of chemical weapons presented by Western governments and journalists, or GCC funded shops, or by Israel lobby. Are you kidding me? theIntercept citing ambassador Robert Ford as an expert on Syria? Why not throw in Thomas Friedman for extra effect? Robert Ford is John Bolton but without the mustache. Make no mistake about it: Western human rights organizations (and some feminist groups in the case of the war on Afghanistan) played a big role in agitation and lobbying for Western wars in 1990-91, 2001, and 2003, and 2011. They are playing the same role now, especially HRW. 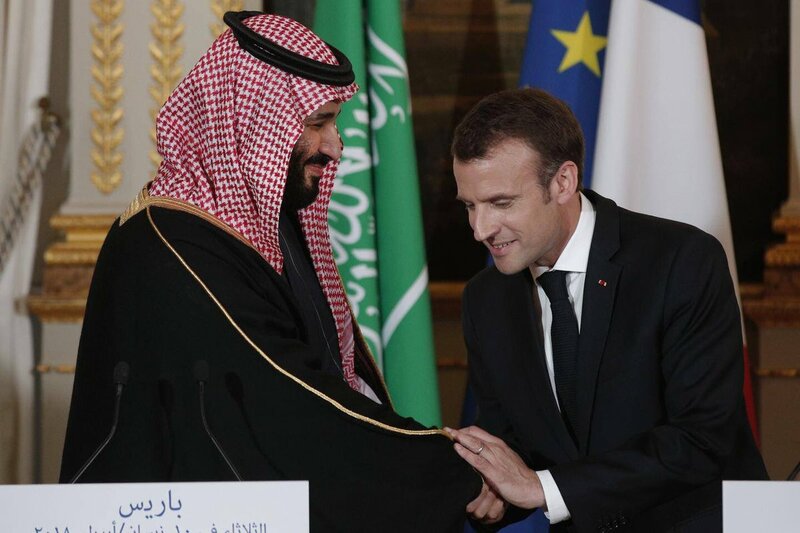 Is Macron attempting to kiss the hand of Muhammad bin Salman here-I mean, literally kiss the hand? I really love that the DC pundit class, sponsored by the GCC-AIPAC alliance, claims that their views of the Middle East are really motivated by an abhorrence of despotism. Those same people stood in line to get a glimpse of the Saudi despot last week, and didn’t notice Gaza. 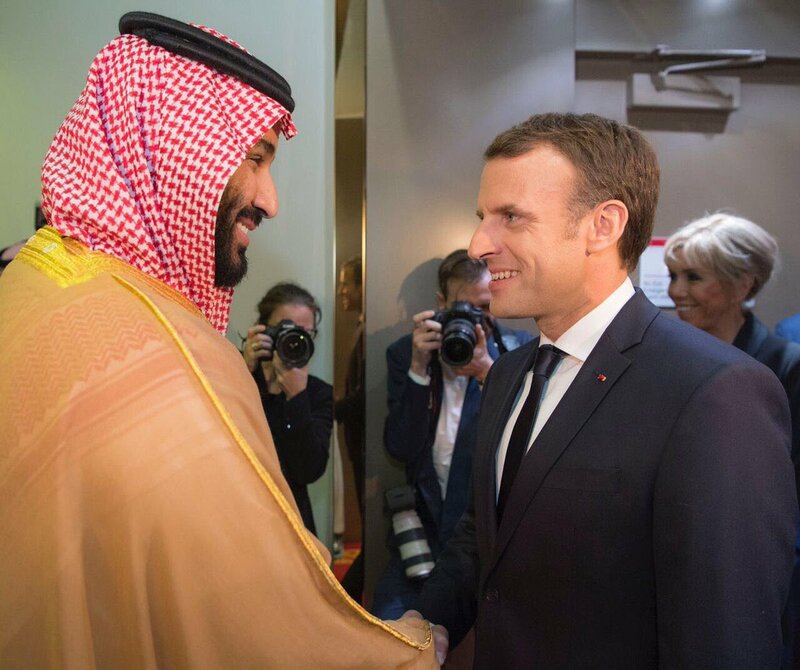 Macron told Muhammad bin Salman today: you are the embodiment of the French Revolution. Within 24 hours, the Israeli occupation enemy managed to bomb Gaza and Syria, and its planes violated Lebanese air space. You won't find one word of condemnation from the GCC-AIPAC- sponsored DC pundits, Western correspondents and those academics who fake sympathy for Syrians. "U.S. Jewish leader Ronald Lauder gave $1.1 million to covert group pushing anti-Muslim campaign". Here, Jihad Khazin basically says that while Christianity and Islam are real religions, Judaism is not. Don't make fun of North Korea. 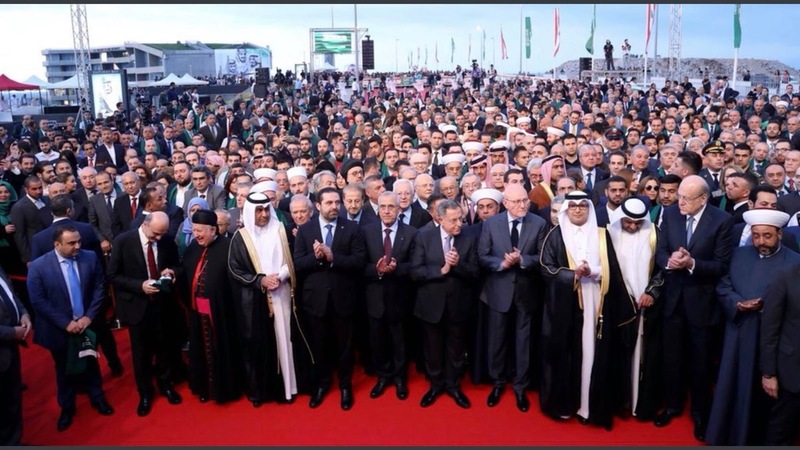 This is the entire Lebanese political class (minus Hizbullah) clapping for the mere appearance of a portrait of the Saudi King. Kid you not. 1) By agreeing to an interview with a former soldier of the Israeli occupation army tells you that he is attuned to the American scene but totally clueless how things play in the Arab scene. Many commented on the fact that the interviewer is a "former" Israeli occupation soldier. 2) The man is woefully ignorant, which is what you expect from the Saudi princes who study at the "Princes School" and later at a Saudi university which no professor in his right mind would dare not give a prince the highest grade. a) He thought that Egypt during the Cold War was under communist rule. b) he thought that France has been constantly a monarchy during American history. c) He thought that the Queen of England has "absolute" powers. d) He is totally ignorant about Islamic history and the characteristics of Islamic expansion. e) He thought that the Safavid Empire ruled all over the Arab world. 3) I can't see how this man last. He has violated so many political, social, economic, and family taboos that he is guaranteeing his own eventual downfall. In fact, a well-connected relative to the Saudi royal family told me recently that his violations of social taboos has caused the most consternation in the Kingdom. 4) He revealed himself to be an anti-Semite who downplayed the horrors of the Nazi regime and reduced them to an attempt to "conquer Europe". Yet, his anti-Semitics will be forgiven because Israel and Zionists don't judge a person on anti-Semitism so much as they judge on friendliness toward Israel. His case proves my long-standing theory: that Arab Zionists and normalizers have all been Nazis (like Sadat) or rabid anti-Semites (like this guy, or Anis Mansour or Ali Salem, or the Lebanese Phalanges). 5) Clearly, the interview did not go well in the estimation of the regime. Okaz, the fiery mouthpiece of the Prince printed the whole interview but took out the section on Jews and Israel. "You can read a lot of books but never get the type of education you get from talking to the Kissingers and Petraeuses of the world.”"
The US mainstream media which peddled the lie of the century want to tackle "fake news"
Don’t you like the phrase “lost their homes”? It gives the impression that Palestinians went outside their homes in 1948 and just couldn’t find their way back: “the 1948 war in which hundreds of thousands of Palestinians lost their homes”. Look at this statement: "One pilot study, by Günther Jikeli of Indiana University, found that anti-Semitism often accompanies opposition to Israel in Arab countries." You press on the link to the pilot study and you don't find what the Post maintains it contains. But let us look at this: So almost all Arabs are opposed to Israel. So someone then tests anti-Semitism among Arabs (I would like to see how they tested that and whether they used current Zionist definitions which conflates anti-Semitism with opposition to Israel) and they found out that anti-Semitism is accompanied by opposition to Israel. But let us say that they in fact used an actual legitimate definition of anti-Semitism (like hatred of Jewish people, insults to Judaism (but not to other religions), belief in bogus Jewish conspiracies, or denial of the Holocaust, belief in the grotesque Protocols of the Elders of Zionism--all those would qualify in my book as ingredients of anti-Semitism), and they found out a certain percentage of Arabs who exhibited signs of anti-Semitism. But what is the relationship between that and the widespread opposition to Israel? This is not a causal relationship. This is like testing how many people die from pulmonary diseases in Arizona. If you see the percentage it is rather high and then you can link that to living in Arizona, thereby concluding that living in Arizona would increase the risk of death from pulmonary diseases, which is the reverse actually because Arizona due to its dry weather attracts a large number of people who have pulmonary diseases. Same thing for trying to find a relationship between cases of anti-Semitism and opposition to Israel. So most Arabs like Falafel, and if you run a study of signs of anti-Semitism, you can then say that the study found that anti-Semitism accompanies love of Falafel in Arab countries. This is how dumb this statement in the Post is.